Yokohama, Minato Mirai, and Browsers. Hey, it’s Debucchi. I’ve packed on 3 kilos. I just keep putting on more weight, and I’m sort of baffled by it. This particular piece is about my time at CEDEC 2018. I know that some of you were probably hoping that this would be about ramen, however, I do plan to write more about ramen some other time. 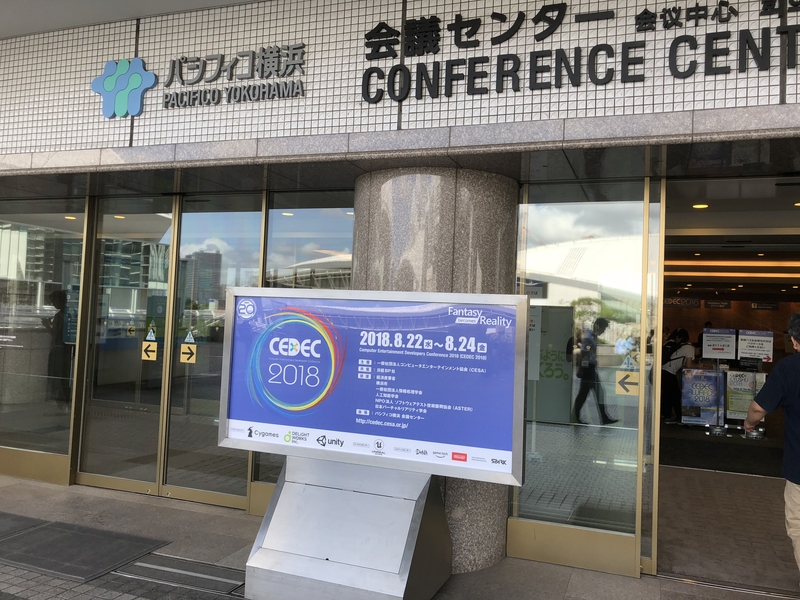 Okay, so at CEDEC this time around there was a big increase in presentations and other sessions focused on so-called “browser games” for HTML5. So, that list basically summarizes the different presentations I checked out. The presentation I went to for THE iDOLM@STER: Shiny Colors had a lot of stuff that I could relate to, and I really got a sense of all of the different processes and work involved in developing browser games. They put up an official video of the presentation on YouTube, so have a look if you’re curious to know more about it. So, when you have an exciting browser game like this that’s experiencing an immense rise in popularity there tends to be a lot of concern that goes into picking a suitable development environment. It’s easy to think that you should just go ahead and use Unity, since it has WebGL support and everyone loves it. But, it isn’t necessarily the best choice once you try to factor in browser support for smartphones. Unity is certainly the number one choice if we are just talking about PC browsers, however, browsers designed for smartphones, despite the devices that run them, are not officially supported from the get-go. Babylon.js has been on my mind a lot ever since they discussed it in that presentation. From what I could see it seems like it’s extraordinarily capable when it comes to making 3D games. PixiJS also had a lot of points about it that looked very promising in terms of what you can achieve with it. PlayCanvas runs exclusively on browsers as well, which gets me wondering about how you’re supposed to deal with version control and stuff like that. Nonetheless, the GUI is very cool and it looks like it facilitates development work quite nicely. But, there is only just a bit of information out there for each. Actually, there isn’t much at all. Browser games and everything around them seems to be a much bigger topic these days, so hopefully more articles start showing up on places like Qiita. Either that or maybe Unity jumps in to offer full support for mobile browsers! Speaking of which, if you go and look at Unity’s roadmap you’ll see that they’re adding multi-threading support in WebAssembly for 2019.1.0! I’m definitely looking forward to that. Anyway, I will surely write something up on ramen again at some point.